The Italian theme was just perfect for the occasion. The newest Swiss Miss flavor combines premium, imported cocoa and real milk with the aroma and flavor of roasted, buttery hazelnuts for a silky, creamy, and frothy chocolate drink that evokes the sweet life in every cup. “The luxurious taste of the new Swiss Miss variant reminds us that it doesn’t require much to enjoy life. 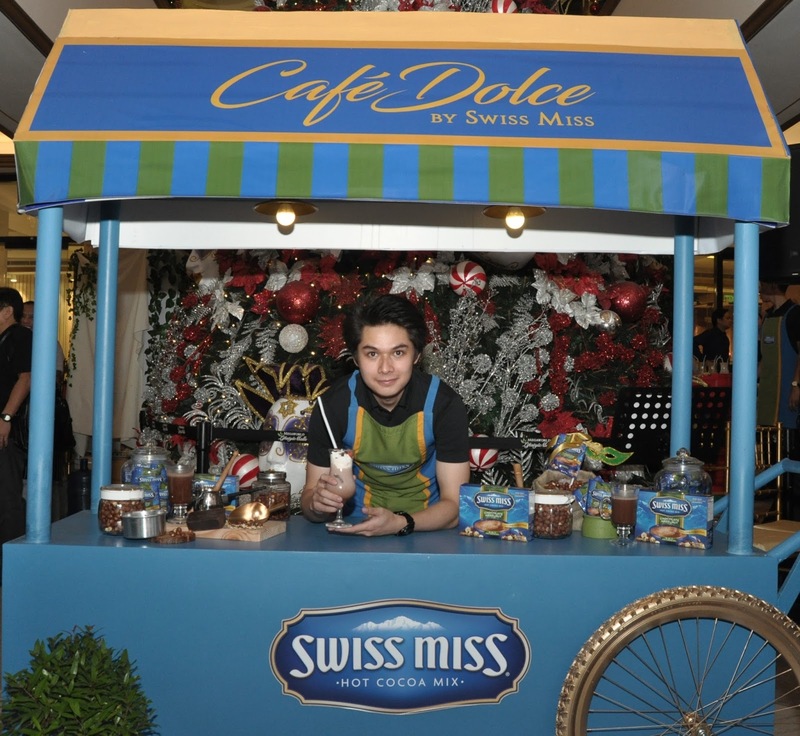 Life is sweet, and we can enjoy its little indulgences by rewarding ourselves for our little wins,” said Cathy Castro, Swiss Miss Asia marketing manager, who added that the launch is a milestone for Filipinos as the Philippines is the first market in Asia to introduce this new Swiss Miss flavor. Dressed in a dramatic gown and a Venetian-inspired mask, Anne led the dramatic launch of the new Swiss Miss flavor. Her cotillion, wearing Italian-inspired fashion and alluring masks, trailed behind her as she invited guests to indulge in the new Swiss Miss Chocolate Hazelnut. Like Anne, mall goers also got a taste of la dolce vita as they enjoyed Café Dolce, a pop-up café offering free samples of Swiss Miss Chocolate Hazelnut, along with complimentary gondola rides and portraits from artists. Experience your own la dolce vita moments by enjoying life’s little pleasures and rewarding yourself for hard-won victories with a serving of Swiss Miss Chocolate Hazelnut. Swiss Miss Chocolate Hazelnut is now available in leading stores and supermarkets nationwide. For more updates, visit Swiss Miss Philippines on Facebook and Instagram @SwissMissPH. ConAgra Foods, Inc. (NYSE: CAG) is one of North America's leading packaged food companies with recognized brands such as Peter Pan®, Hunt's®, Reddi-wip®, ActII®, Healthy Choice®, Orville Redenbacher's®, PAM®, Snack Pack®, Banquet®, Chef Boyardee®, Wesson ®, and many other ConAgra Foods brands found in grocery, convenience, mass merchandise and club stores. ConAgra Foods also has a strong business-to-business presence, supplying frozen potato and sweet potato products as well as other vegetable, spice and grain products to a variety of well-known restaurants, foodservice operators and commercial customers. For more information, please visit us at www.ConAgraFoods.com.